You set up your wine so its win2008 + by using WineTricks. obvioulsy MT4 will look prety on windows and a bit faster loading but i have pepperstone and admiral running through wine and have no problems. Cant report any real difference apart from the Market tab is missing but i would just go on mql5 site and download of there if i waned EA Or Indicator but i dont. It’s still right HERE where you posted it. much more Buying Power can be used. Well, shiver me timbers, the CFTC is at it again. Article posted on Leap Rate about what happened with the CFTC complaint about Tallinex. So the CFTC is happy to see newbie traders blowing their accounts trading full-sized FX Futures contracts. They are equally pleased to see the ICE price gouging with $110/month data fees to the newbies so they can blow their accounts on Dollar Index Futures that much quicker. But we Forex traders are assumed to be so mindlessly stupid, incapable of learning, unable to choose a suitable overseas Forex broker to trade even $1000 notional micro-lots unless we have a net worth of at least $10M, required for ECP status. Also, there was some mention of “victims” and “restitution”. Funny, I don’t recall a single complaint on this site about Tallinex stealing from traders. … the CFTC is at it again. 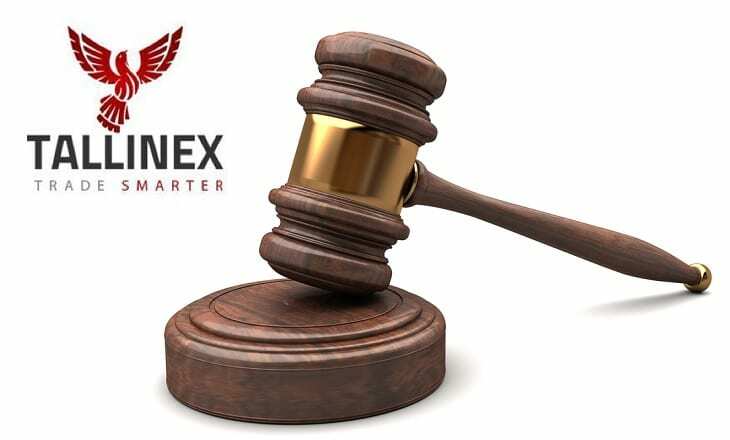 Article posted on Leap Rate about what happened with the CFTC complaint about Tallinex. Thanks for posting that, Shatner. The World Forex Police (aka CFTC) have been bragging lately about the “awards” they pay out to “whistleblowers”. I suppose GREEN collected a bounty – er, I mean “award” – for ratting out Tallinex. I plan to stay away from Mr. Green and his tax “advice”. But this latest CFTC action also confirms what you’ve been saying for the past 8 years. We as individual traders are doing nothing wrong by seeking better trading conditions offshore. The CFTC rules are written against brokers/counterparties, not the traders themselves. For now at least, in the all-seeing eye of the CFTC, we’re the “victim”. I totally agree with you. Initially I never cared about the rebate on withdrawal fees but then I made a few big withdrawals on my profits and I asked for fee reimbursement process but no action was taken and it then pinched me to pay that kind of charges on withdrawals. Hi guys, been overwhelmed by all the great info. I am a US resident, simply looking for the best broker (most reputable, best in fees, safest) that will allow me to trade commodities like US oil. Does anyone mind steering me in the best direction? Finpro seems to look the most legitimate to me, but again I see a lot of info and a little push to the best option would be so appreciated! If safety is your primary concern, keep in mind that of the “trusted brokers”, FX Choice and Traders Way have been on Clint’s list much longer than the others – pretty sure since the beginning. Also, though I do have an account with Finpro and happy with their service, the broker’s location (UK) continues to make me nervous. You might not know that there used to be many more European brokers on the list, but they’ve dropped off over time, due to various regulatory crack downs. Still, unless the broker goes insolvent, you should be able to get your money out. Best strategy with offshore brokers is don’t put all your “eggs” in one basket. Thank you for your response, yes I just registered with FINPRO and I have already been reconsidering, the UK address sounds like a problem since UK just started enforcing stricter laws. Im simply looking for the most efficient (fees, withdrawals, deposits) broker who has commodities since I am just fine with OANDA when it comes to forex…but having some higher leverage option on forex pairs would be great as well. I am now just considering going with EVOLVE MARKETS… simply because the quick withdrawal and deposit process. BTC value worries me, and also, the fact that it can be deemed ILLEGAL by US at any time, but it also outweighs not getting a withdrawal from an unregulated broker deciding to shut the door. I guess these are the risks they want us to take? 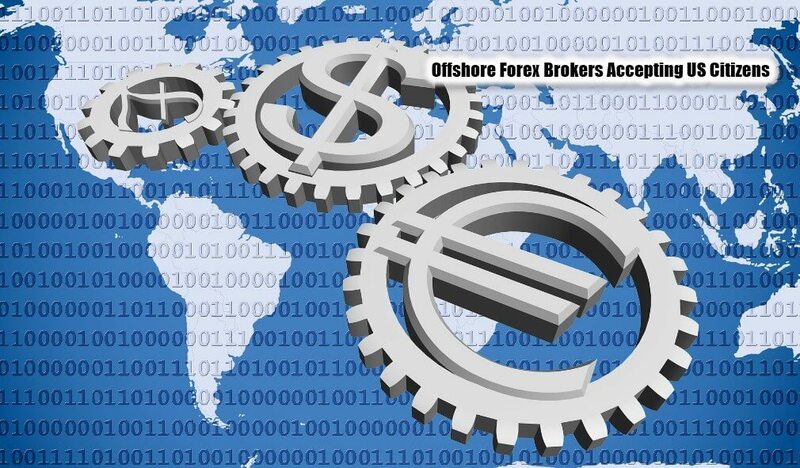 Find The Latest List of Offshore Forex Brokers That Still Accept US Traders Now!! to any U.S. residents. There is no way?? 09:50Natalie Support: Unfortunately, due to recent CFTC regulations we no longer accept live account applications from residents of the USA. So there’s no other way. 09:53Natalie Support: This rule applies to all US residents without any exception. If you’re staying in the USA for more than 6 months, unfortunately we have no right to provide our services. 09:53Hyper Scalper: can I email one of your senior account managers and discuss with them? 09:54Hyper Scalper: Thanks, I’ll consider it… I assume you are in Finland, is this true for ALL Finnish brokerages? no U.S. persons?.. 09:55Natalie Support: Various trademarks held by their respective owners. fxoepn.com FXOpen Markets Limited, a company duly registered in Nevis under the company No. C 42235. FXOpen is a member of The Financial Commission. fxopen.com.au FXOpen AU Pty Ltd., a company authorised and regulated by the Australian Securities & Investments Commission (ASIC). AFSL 412871 – ABN 61 143 678 719. fxopen.co.uk FXOpen Ltd. a company registered in England and Wales under company number 07273392 and is authorised and regulated by the Financial Conduct Authority (previously, the Financial Services Authority) under FCA firm reference number 579202. COINEXX CRYPTO FUNDED FOREX AVOID CONFUSION !! management provider” sort of a “fund manager”. yet, but expect to use them both. Are there any introducing brokes for FinproTading, Turnkey Forex, Coinexx? TODAY IS A GREAT DAY !! wide choice of good brokers to use as U.S. persons. Special thanks to @Clint !!! Why are you looking for introducing brokers. All these brokerages allow you to become an introducer. Become you own introducing broker , a good way to save some pennies on your commissions. I simply want to earn rebates. It is like a set-and-forget approach, I just focus on trading and rebates accrue on my introducing broker “cashbackforex” account under my name. But each introducing broker has its own forex brokers list. Unfortunately cashbackforex does not work with FinproTrading .That is why I am asking here. hi hyper scalp, im curious on your top 3 brokers you are using? im currently on oanda for my main account but for my fun higher lev trades I now use EVOLVE thanks to you, though I am a bit concerned about where they get the price data… etc. but I like that I can get my money right away. Any way, wondering what your favorite three are so far? Thanks for being so thorough. Does CoinExx allow you to deposit in BTC and transfer to USD for trading purposes and the trade to btc for withdrawal? or anything like this? Thats the only problem I have with evolve, im always dealing with BTC/ LTC vol.